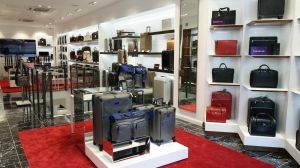 This clean and inviting luggage shop in London’s West End was designed by Raylian. With rich red carpets, white architectural features and LED illumination. 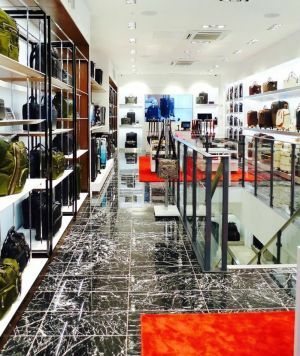 We supplied 130m2 of Nero Marquina Marble in 610 x 305mm. 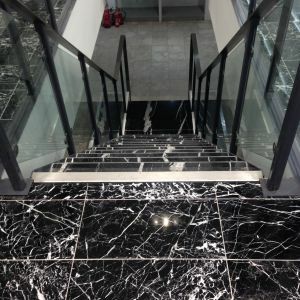 We also fabricated 13 matching steps, complete with anti slip treads from marble slabs at our factory.